Warning: If you've made it into the third weekend without seeing Batman v Superman: Dawn of Justice, just know there will be spoilers. Batman v Superman: Dawn of Justice has elicited many things from a host of moviegoers. There are those who loved it and saw it as groundbreaking. There are those who feel it didn't quite meet expectations. And there are the critics, who absolutely hated it! One way or another, if you saw Batman v Superman: Dawn of Justice, you certainly felt SOMETHING. 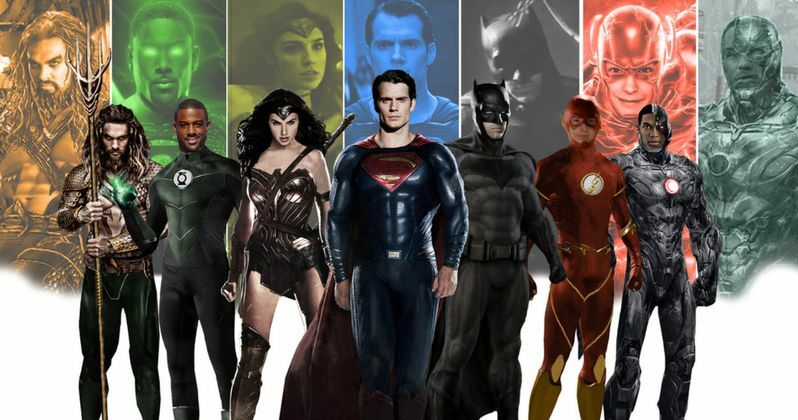 It would be hard to watch Batman v Superman: Dawn of Justice and not think about how DC might handle their Justice League franchise. Let's be honest, right now Marvel is clearly winning the hearts and minds of moviegoers. To use an animation analogy, they are Pixar while DC is everybody else. Yet, the Justice League movie just might be their trump card. With characters like Batman, Superman, The Flash, Aquaman, Cyborg and Wonder Woman, one can only imagine how DC will handle the cinematic smackdowns and necessary character development that has to unfold. How will these characters relate? How much will they compliment each other? Will the pairing of all these characters be too much of a good thing? Now that we've gotten past those questions...With today's VFX, one can only imagine the things Aquaman will be able to do? The same goes for the The Flash? Think about how we've seen these characters on the big and small screen before. Won't it be awesome to see a really good Wonder Woman movie? How about Cyborg's big screen treatment? So, despite how you felt about Batman v Superman: Dawn of Justice, forgetting its opening weekend haul, ignoring the fact that it supposedly had one of the sharpest viewer drop offs (from Friday to Sunday) in the history of movies, Justice League has a lot of anticipation behind it. It is an event movie that comic book lovers have been salivating for since it first hit stands nearly five decades ago. It is with this in mind that we give you "7 Reasons Why Batman v Superman: Dawn of Justice Has Us Excited for Justice League. As Batman v Superman: Dawn of Justice ends, we see grains of dirt slowly rise off the deceased Man of Steel's coffin. It doesn't take more than a gander at IMDB to see that Henry Cavill is going to return in Justice League. The question is how? Will we be treated to a gripping shot of a mound of dirt, only to see Superman's hand explode out of it? Will lightning strike his grave and reanimate him as it has Jason Vorhees, and so many other big screen icons? However it happens, one thing is for sure, some moviegoers will be delighted and others will be furious at what Director Zack Snyder has done again. The possibilities are endless for how this will be achieved and it is reason number one that Justice League fans are salivating.